The MLB Winter Meetings have pretty much concluded, with many executives, agents, and members of the media leaving Washington DC on Wednesday night or Thursday morning. Which teams and players came out ahead, and which look worse than they did at the end of the week? Good question. We’ve got you covered. In trading both Adam Eaton and Chris Sale, the Chicago White Sox officially moved into rebuild mode. But while some fans might be disappointed about the Sox trading two of their best players, the team loaded its farm system. In acquiring Yoan Moncada, the pale hose acquired one of the best (if not *the* best) offensive prospects in baseball. And in acquiring Dane Dunning, Lucas Giolito, Michael Kopech, and Reynaldo Lopez, they acquired four top-tier pitching prospects that can have an impact on their staff as early as next season. And the White Sox might not even be done yet, with Jose Quintana also receiving plenty of attention, and Jose Abreu, Todd Frazier, and David Robertson all looking attractive as well. This is a team that has kicked the can on rebuilding for years, but has finally decided to go all-in on building for the future instead of the present. If these first two trades are any indication, the Sox are heading in the right direction. Encarnacion’s market has cratered like no one really expected. The Yankees and Astros, two teams expected to be suitors for his services, took themselves out of the running with the one-year deals they handed to Matt Holliday and Carlos Beltran. Discussions with the Blue Jays broke off earlier in the offseason and really haven’t picked up, and their signing of Kendrys Morales indicated they aren’t optimistic about the negotiations turning around any time soon. The Red Sox didn’t show much interest, and while Mitch Moreland wouldn’t be a huge roadblock for him, Moreland’s signing shows that the Red Sox probably don’t consider Encarnacion anything close to a priority right now. Furthermore, the lone NL club that expressed interest in Encarnacion, the Colorado Rockies, seemingly went in another direction when they signed Ian Desmond, with the stated goal of starting him at first base this year. Where’s Encarnacion going to land? It’s anyone’s best guess at this point, and some team may be able to get a phenomenal value with him. Aroldis Chapman got $86 million over five years from the Yankees. Mark Melancon got $62 million over four years from the Giants. Brett Cecil, not currently a closer, got $30.5 million over for years from the Cardinals. Wade Davis got traded to the reigning World Champion Cubs straight up for Jorge Soler. Top-tier closers have never been more in demand than they are now, and Kenley Jansen is still on the market, seeking a deal of around $75-80 million. It’s a great time to throw 100 miles per hour in the ninth inning. Fernando Rodney at $2.75 million over one year looks like a pretty damn good deal for the Arizona Diamondbacks right now. Here’s a team that needed to do *something* this winter, and… didn’t. 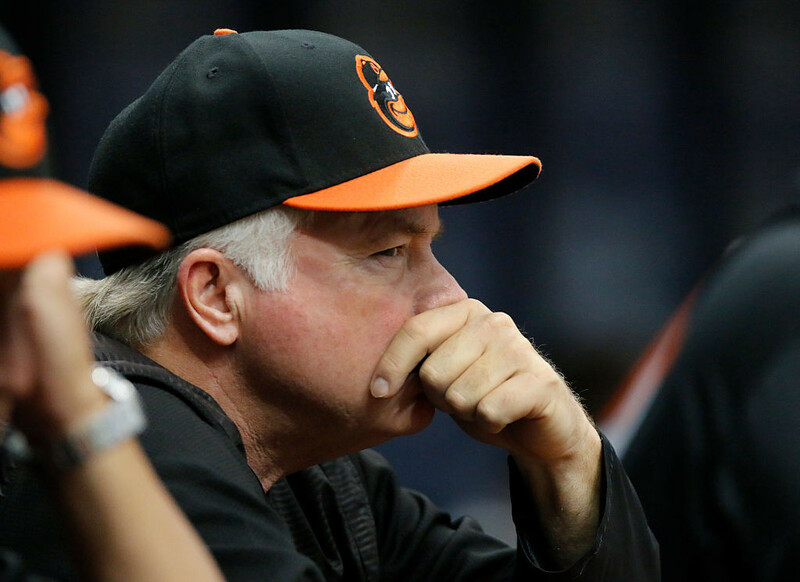 The Orioles haven’t made any major league signings this offseason. Mark Trumbo looks destined to sign somewhere else, leaving a hole in Baltimore’s lineup. Their rotation is still somewhat of a trainwreck, with Chris Tillman standing tall as the closest thing to a sure thing in the starting five. There’s also the matter of Dan Duquette’s silly comments about why the team won’t pursue Jose Bautista, who would arguably be a great fit in their lineup to replace Trumbo. No one is saying that the Orioles need to commit $200 million to their team like they did last offseason, but some sort of potential improvement is essential if the team wants to compete with the Boston Red Sox (more on them in a minute) in the AL East. The Red Sox only (only — hah!) made three transactions of varying importance during the Winter Meetings, all on Tuesday. They signed first baseman Mitch Moreland to a one-year, $5.5 million deal, adding a fine left-handed bat to compliment Hanley Ramirez and Chris Young in their lineup. They traded for Brewers reliever Tyler Thornburg, giving the team some confidence in their bullpen in front of Craig Kimbrel following the impending departures of Junichi Tazawa and Koji Uehara. Oh, and they traded for Chris Sale, making reigning AL Cy Young winner Rick Porcello their third-best starter behind Sale and David Price. Boston won the AL East by four games last season over the Orioles and Blue Jays before being swept out of the playoffs in the ALDS by the Indians. While losing David Ortiz will clearly hurt their offense, adding Sale to bolster their rotation, while also fortifying their bullpen and bench, makes the Red Sox arguably a much better team. They paid a hefty cost in terms of prospects, and if they don’t win a championship in the next three seasons, Dave Dombrowski’s moves make look foolhardy. But right now? Boston is flying high. The Nationals whiffed on Chris Sale, watching him get dealt to the Boston Red Sox. 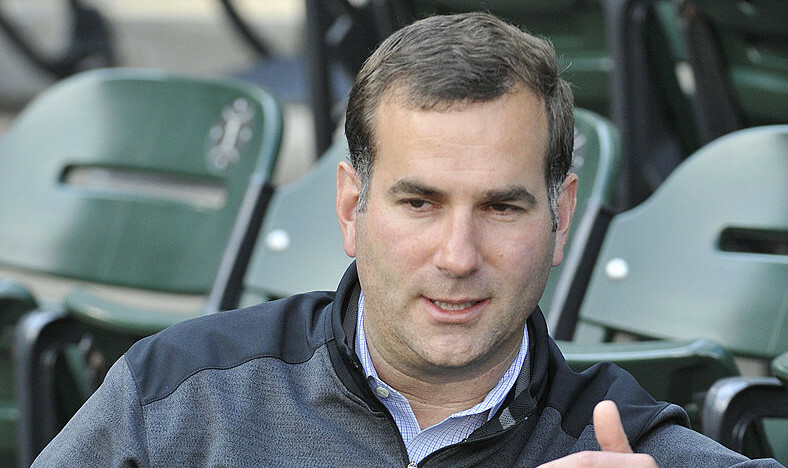 They then arguably overpaid for White Sox center fielder Adam Eaton, giving up their three best pitching prospects (Lucas Giolito, Reynaldo Lopez, Dane Dunning) for the versatile outfielder. The trade for Eaton also took them out of the running for Pirates center fielder Andrew McCutchen, arguably a superior player under control for three fewer seasons who would’ve “only” cost them Giolito, Dunning, and a third player. To top things off, injured catcher Wilson Ramos spurned re-signing with the team and inked a two-year deal with the Tampa Bay Rays, while the Nationals also watched closer Mark Melancon sign with the Giants and Aroldis Chapman, one of their top targets to replace him, sign with the Yankees. Washington is now in a situation where their best reliever is Shawn Kelley, their starting catcher is the newly-acquired Derek Norris, and their prospect depth to improve the major league club has been weakened. 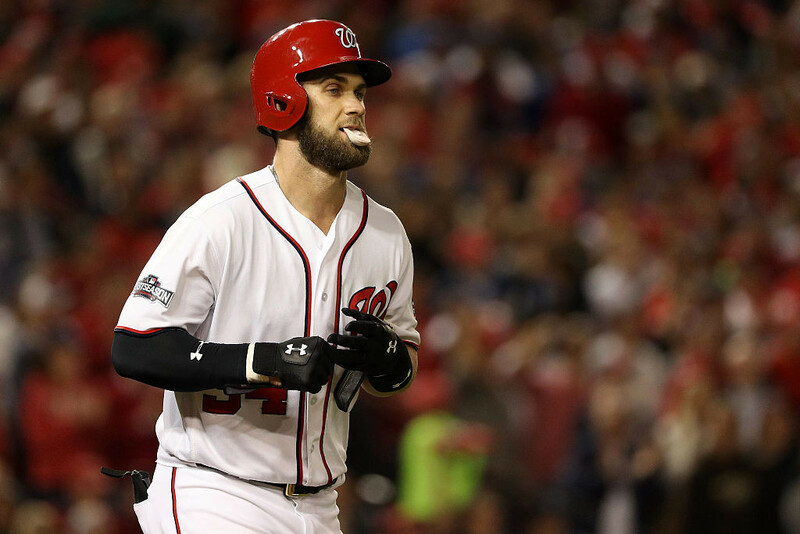 They’ve got two years left with Bryce Harper before he hits the free agent market, and while they still look like the best team in the NL East, it doesn’t look like they’ve done nearly enough to topple the Cubs in the National League. After turning down the qualifying offer from the Washington Nationals last winter, Desmond bet on himself by signing a one-year, $8 million deal with the Texas Rangers. He bounced back in 2016, despite a subpar first half, and managed to cash in with a five-year, $70 million contract with the Colorado Rockies. Now, ignore the ridiculousness of Desmond to the Rockies for a minute. This worked out pretty well for him, as he essentially got a six-year, $78 million contract. Maybe that’s a little lower than he may have expected, but given the plethora of questions surrounding Desmond and his overall performance, it’s a huge win for him. After all, look at what happened to Brett Anderson, Colby Rasmus, and Matt Wieters after accepting the qualifying offer last year. None of those three players will get anywhere close to $70 million this year, and even a multi-year deal is out of the question for Anderson and Rasmus (if Rasmus doesn’t retire, that is). Here’s what the Pirates have done this winter: nothing. Nada. Bupkis. Well, that’s not true. They tried to trade franchise player Andrew McCutchen and couldn’t (though there are still two-plus months until pitchers and catchers report). They did nothing to fortify their disastrous rotation. Hell, they didn’t even bolster their bench to replace Matt Joyce and Sean Rodriguez, who bolted to Oakland and Atlanta, respectively. Oh, and Jung-ho Kang was arrested for DUI in Korea. Pittsburgh’s three straight NL Wild Card berths from 2013 to 2015 seem like a distant memory at this point. The Pirates need to be careful not to slip too far and piss away all of the goodwill they’ve earned.